New docketing procedures (case filing) (立案) have come to the Chinese courts. Chinese courts have a separate case filing divisions, which up until 1 May of this year acted as gatekeepers to courts. They exercised their approval authority over cases in a non-transparent manner, which meant for litigants in Chinese courts that their cases could be and were rejected without having the opportunity to argue why they should be accepted. Case filing divisions also were known to put troublesome filings aside, without issuing a rejection, or repeatedly asked for supplementary documents, seeking to drive away litigants by repeated formalistic demands. More background is given in these blog posts and law review article. It has been an ongoing problem for many years, provoking endless complaints and articles by ordinary people, lawyers, academics, and NGOs, and has been one of the issues driving petitioners to the streets. Reform systems for courts’ acceptance of cases, change the case filing review system to a case filing registration system, and in cases that should be accepted by the people’s courts, ensure parties procedural rights by requiring filing when there is a case, and requiring acceptance where there is a lawsuit. Change the case filing review system into a case filing registration system, making it so that for cases that should be accepted by the people’s courts, where there is a case it must be filed, and where there is a suit it must be accepted; safeguarding the parties’ procedural rights. repeatedly asking for supplementary materials. The new rules require case filing divisions to accept filings of civil and criminal private prosecution cases (brought by the victim of a crime if the state refuses to prosecute, generally relating to minor crimes) on the spot if possible, provide templates for frequently used types of cases, and to respond within statutory deadlines. Case filing divisions are directed to make requests for supplementary materials once. (The new administrative litigation law judicial interpretation, described in this earlier blogpost, contains similar provisions.) Litigants who encounter noncompliant behavior can file a complaint with the relevant court or the court above it. Matters that undermine state religious policy. Rights activists have likely noticed that these carveouts are broad and flexible enough to keep out some cases that they might want to bring. According to Court statistics, in the first month since the regulations went into effect, there was a 30% jump in the number of cases accepted,(1.13 million), with most of them accepted immediately. 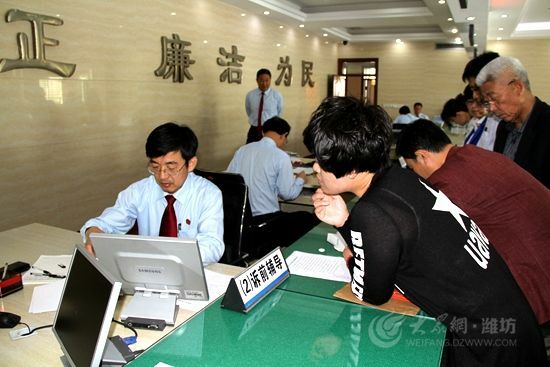 The Jiangsu, Zhejiang, and Shandong courts accepted over 80,000 cases, with Beijing, Hebei, and other areas accepting over 40,000.
the number of civil cases was up about 28%. 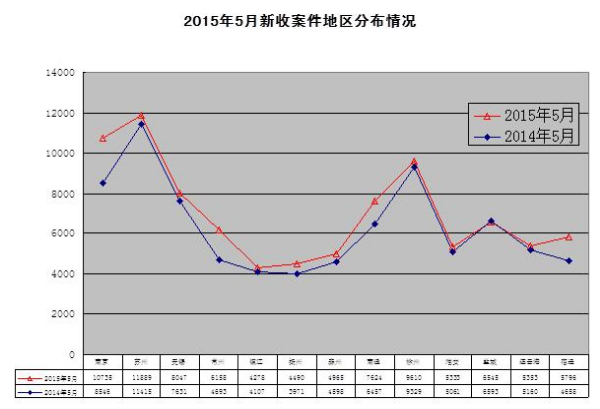 the number of administrative cases accepted was up 221% in comparison to last year (starting from a low base), with Tianjin cases up 752.40％，Shanxi, 480.85％，and Shanghai 475.86％, reflecting both the new case registration and new Administrative Litigation Law going into force. 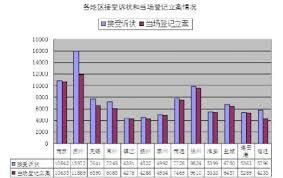 Courts in Zhejiang found that fewer litigants were mediating their cases before filing suit (down 17%), and the success rate of mediation was down by 14%. Does this mean a better outcome for litigants? Closer analysis is needed. Much of the press coverage has been about litigants filing cases themselves, rather than with the assistance of a lawyer or other legal personnel, but I haven’t seen statistics that address this. It will mean more cases in the courts and greater stress for fewer judges and other judicial staff, to assist the many pro se litigants. It should reduce the dissatisfaction level of some proportion of litigants with the court system, such as the anonymous staff from a Guangzhou car finance company quoted in a press report. Violence against court personnel (like medical personnel), is another factor driving qualified and experienced people away, as described in these recent articles. Will the reforms reduce the level of frustration of ordinary people with the court system, and reduce physical and verbal attacks on judicial personnel? It is early days to say. It does not resolve underlying issues such as local courts not wanting to offend local government or locally state-owned enterprises. The 4th 5 Year Court Reform Plan identifies cross-jurisdictional courts as a solution, and pilot projects have started on this in various locations, including Beijing, but a comprehensive framework is not yet in place. For the numerically small number of foreign litigants in the system, it does not change all the documentary requirements needed, such as notarization and legalization of documents and powers of attorney. It should make it easier for foreign invested companies to litigate. As a Court spokesman suggested, the rejection of many cases could come later, leading to greater pressure on the courts later on, from appeals, more requests for cases to be re-tried, and not ultimately reduce the number of petitioners. It will inevitably lead to abuse of process and frivolous cases, such as the over-publicized case of a Shanghai man suing because of the stare of a TV star caused him spiritual damage. The Court is working on rules to address this. This entry was posted in Court Operations, court reforms and tagged 4th Plenum Decision, administrative litigation law, Case filing, China court reform.